This Fox Just Signed A 3-Book Deal. What Did You Do Today? Gaspard the fox will star in a series of children's books. Gaspard is an urban fox befriended by Zeb Soanes. In news today is a fox who has just signed a 3-book deal with his friend and BBC newsreader Zeb Soanes. Gaspard the fox, already a Twitter celeb of sorts with almost 4,000 followers, will be the star of a series of children's books written by Zeb Soanes in collaboration with illustrator James Mayhew. 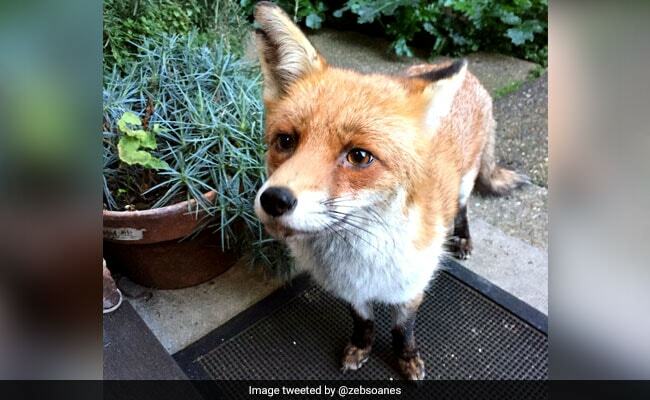 The urban fox from Islington, UK, was befriended by Mr Soanes when she injured a leg and he started feeding her. The two became friends over time, so much so that Gaspard is now a regular visitor appearing at the sound of Zeb's bicycle. "I haven't tamed him. He appears when he feels like it... He is undoubtedly a very handsome animal and I started posting pictures of him on Twitter whenever he chose to appear," says Mr Soanes to the Daily Mail. (He assumed Gaspard was a he, until her cubs appeared). Tame or not, Gaspard will now be immortalized in books that aim to bring the life of urban foxes before young readers. The first title in the series is due for release in May 2018, according to a press release by publishing house Graffeg. Meanwhile, the news of Gaspard's book was welcomed warmly on Twitter. Well this is good news. Congratulations everyone. This is amazing!! Definitely buying the books for the children in my class!